Posted on May 22, 2015 by Appleton Downtown Inc. Enjoy options for FREE outdoor live music this summer! 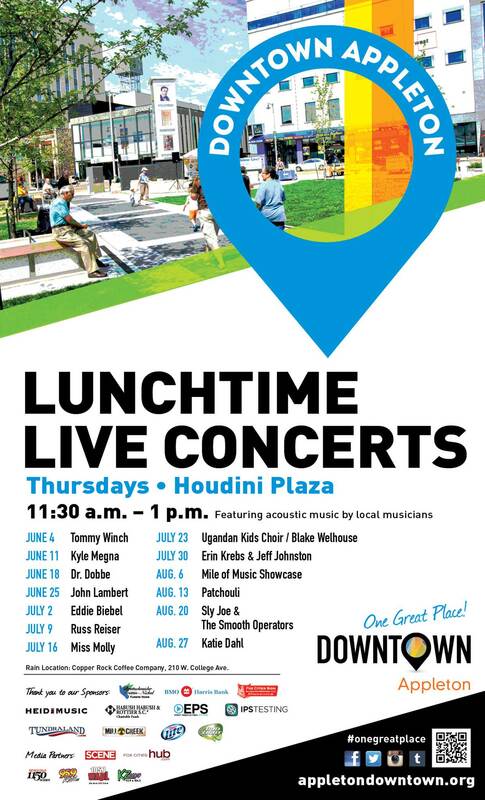 Enjoy acoustic music by local musicians on your lunch hour! Bring your lunch, grab takeout from a Downtown restaurant or purchase on-site from local vendors. *In the event of inclement weather, the show will go on at Copper Rock Coffee Co. at 210 W. College Ave.